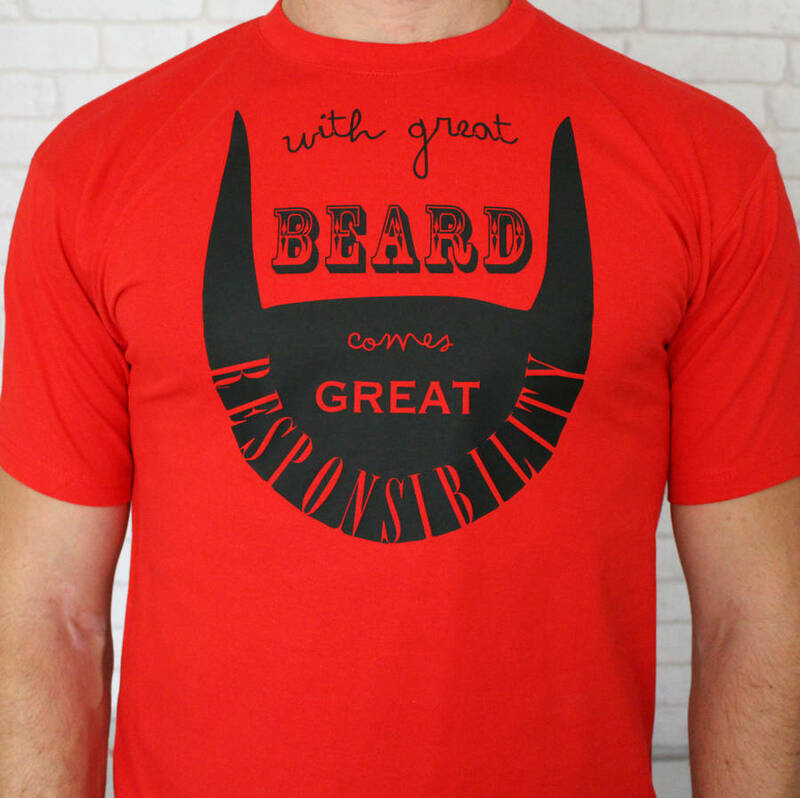 'With great Beard comes great Responsibility' Mens T shirt. Do you know someone obsessed with their beard...? Then let us provide the perfect gift for them! 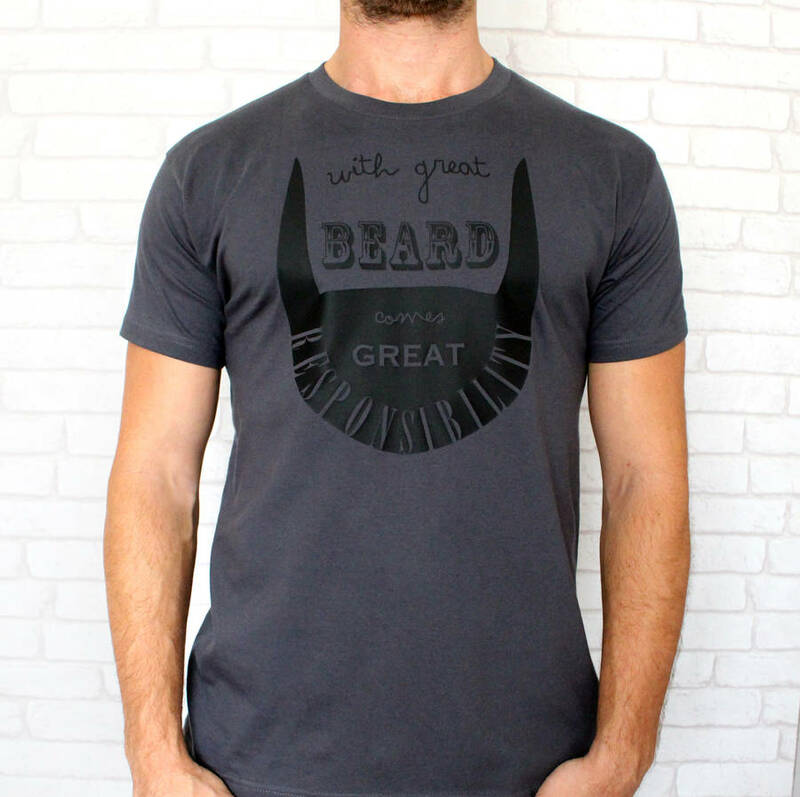 Our 'with great Beard comes great responsibility' T shirt makes a great gift for Dad's, Grandads, Uncles, Brothers, Boyfriends and Husbands for Birthdays, Fathers Day and Christmas. We also offer this design in a canvas grooming bag and a T shirt and grooming bag gift set. Please see 'sellers complete range' to the right of the page to view our shop. 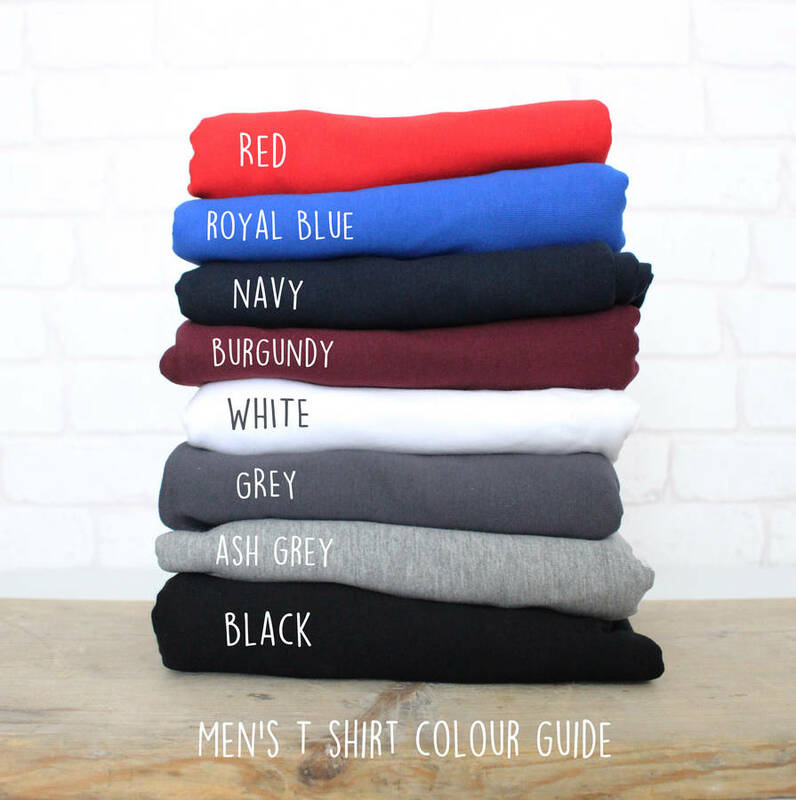 T shirts are available in a variety of colours and print colours. T shirts are made from 100% ring-spun cotton.